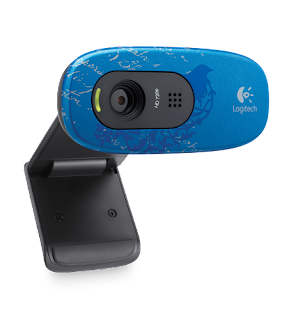 Just in time for Back To School, Logitech (one of our very favorite companies!) is rolling out an awesome collection of accessories in fun and funky designs! Their new Color Collection line is HOT for back to school! Whether your kids are starting high school, heading to college, or hell, if you even want a cool new accessory for yourself (Hey, Moms should get rewarded too! ), they really do have something for everybody! Take a look at some of the awesome designs that Logitech's NEW Color Collection has to offer! Aren't they cute!?!? I love the idea that you can personalize your accessories to match your personality! These products are super affordable, so they would make a great "pick me up" gift for your back-to-schooler! 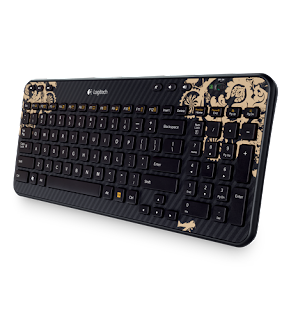 What better way to inspire your kids to do well in school than to give them an awesome new mouse or keyboard that they will love to use to do their homework!?! 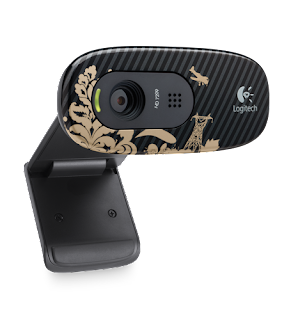 We received a wireless mouse and webcam to review. I was really impressed with these products. First of all, the designs were adorable! The HD Webcam is fantastic! It allows you to call in HD, includes a 3 megapixel camera, and has a built in microphone that reduces background noise! We love it! 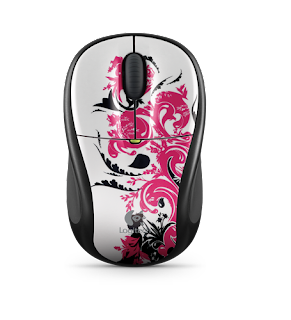 The wireless mouse was also great! 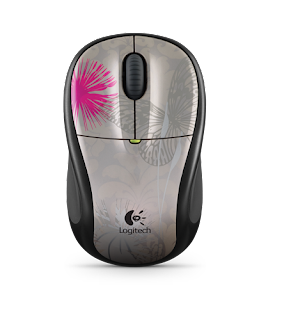 I love using a wireless mouse, you can just toss it in your purse or backpack and take it wherever you go! It is so easy to use with the USB nano receiver. You just have to plug it in once, and it is ready to go after that! I really like the itelligent battery management that this mouse has. It turns itself off when you are not using it to conserve your battery, and it has in indicator light that lets you know when it's getting low! Talk about smart! 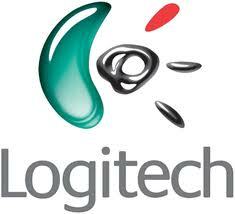 A big thanks to Logitech for helping us get ready for back to school with these amazing products! If you wanna check out their new Color Collection line, just click here! disclosure: I received a sample product in order to conduct this review. Although a sample product was received, all opinions are my own, and no monetary compensation was received. Rock 'N Learn Sight Words DVD review! TGIFriday's $25 Gift Card Giveaway!!!! Peaceable Kingdom Stone Soup Game Review! Man Moment: Kontrol Freeks Review and #Giveaway! Going Back To School.. Is It Possible? Hot Wheels Nitro Speeders Review and #Giveaway! Suave Professionals Review and Giveaway! Flat Iron Experts Knows What Mom Needs! Identity Theft: Something That Nobody Needs. Glow Crazy Glow To Go Review and #Giveaway! CAT Preschool Take Apart Machines Review! Yay! Now To Get More Organized. Wish I Had A Cool Job. Brush Buddies Make Teeth Brushing Fun!!! Learning To Walk With The Juppy! The Man Moment: Introducing The Killdot! So Cute Review! Vitamins Baby Blankie Buddy! My Baby Clothes Boutique Review and Giveaway!! Hasbro Games Giveaway now ending at NOON! HURRY! MAM Pacifiers and Training Cups Review! Hurray! Parent's Choice, Fundex, and Farm Rich Winners! Land O' Frost Wrap Kit: A Yummy Review! Fundex Games Giveaway Deadline Extended! Parent's Choice Formula Review and Giveaway! Keepin' It Clean with Dust-Off! New England Iced Coffee Review: Mama Says Thanks! Rockboard Scooter: Better than a rocket! Strongback Chair Makes Mommy A Happy Camper!